I’ve been meaning to start up a makeup blog for a while, and finally I’ve plucked up the courage to do it! I’ve been so inspired by other people’s blogs recently, and thought it’d be cool to start my own to play around with makeup and share my favourite looks. 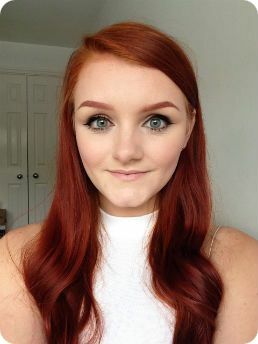 So just to introduce myself – I’m Phee, 19, from the lovely North of England. I hope you enjoy my blog! Here’s a quick look at what I’ve been wearing today, just a chilled look perfect for Sundays, but with a splash of colour trying out Lime Crime Lipstick in Centrifuschia.